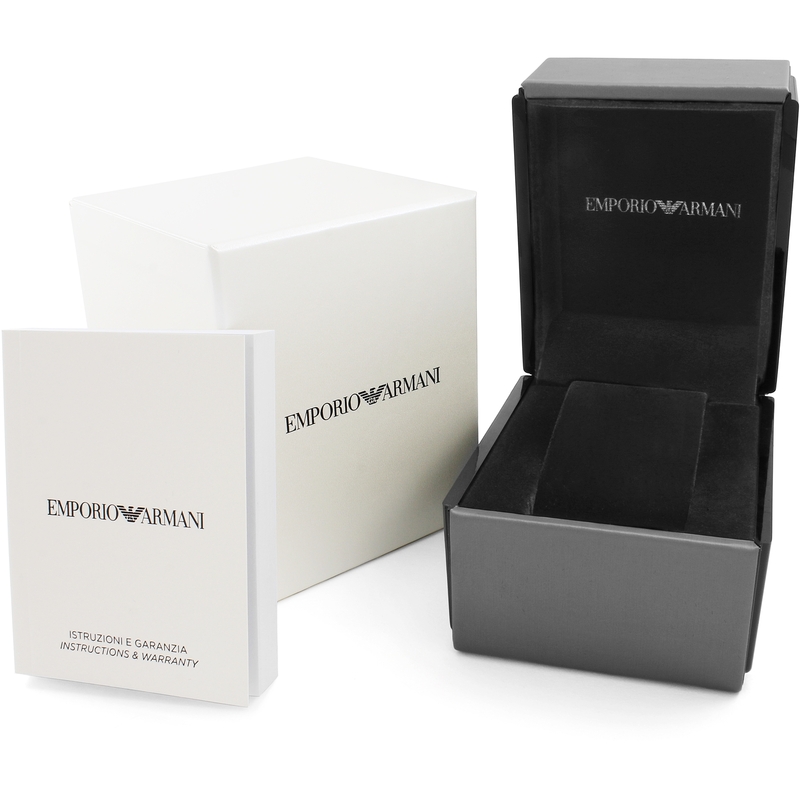 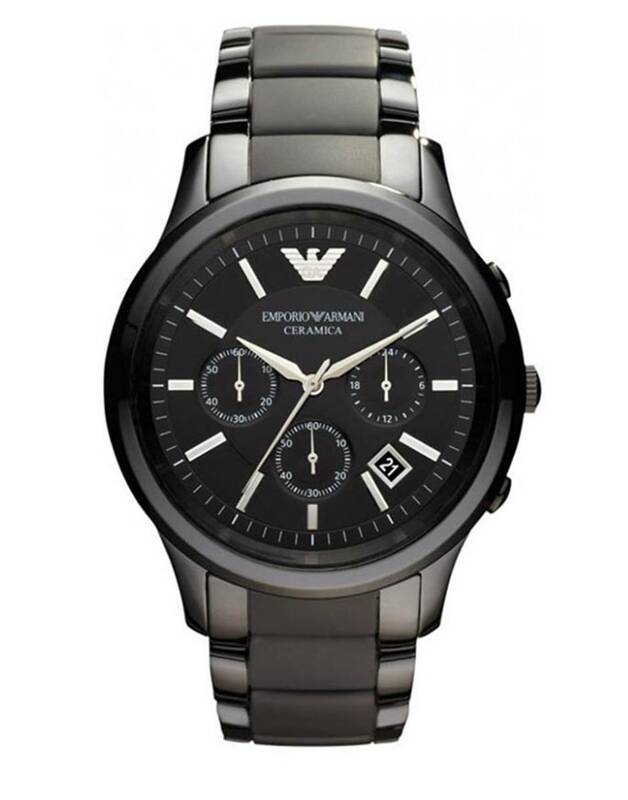 Men's Emporio Armani stylish black ceramic designer watch. 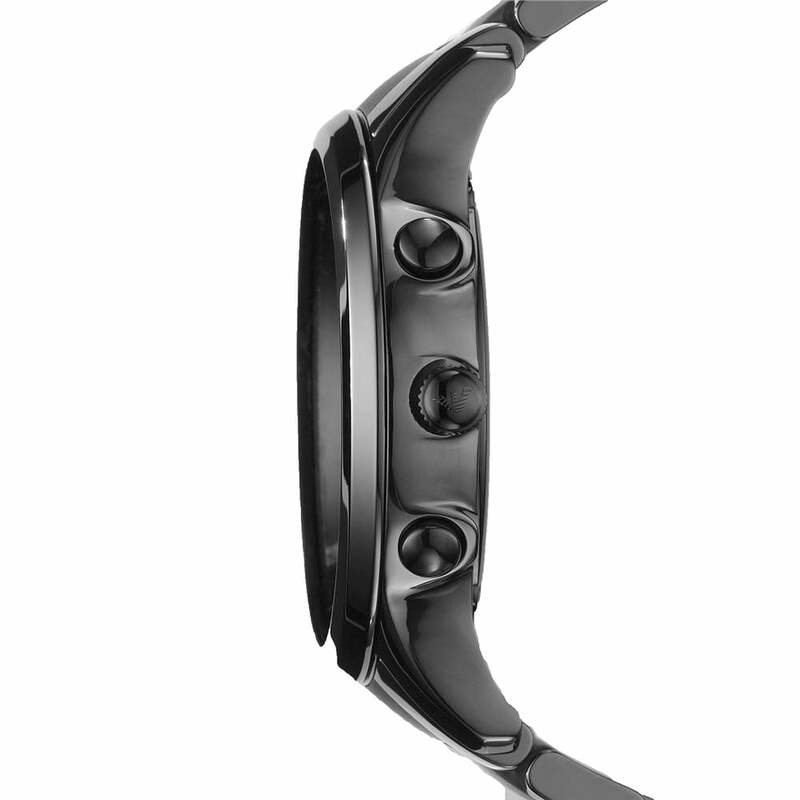 This watch features a round face complete with a date window, three chronograph sub dials and a Japanese Quartz movement. 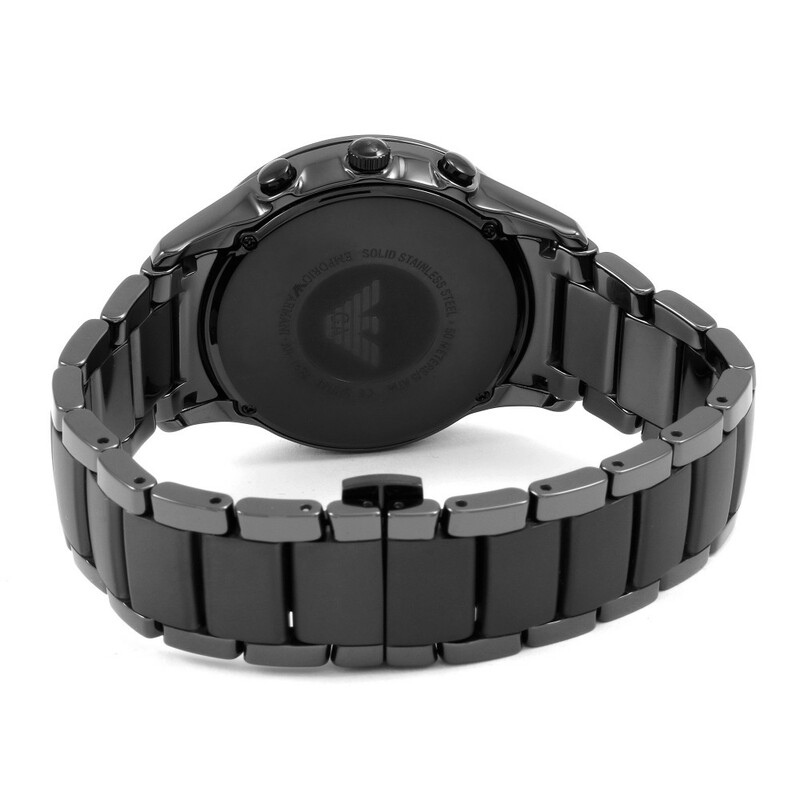 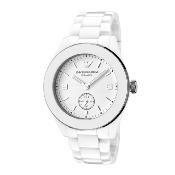 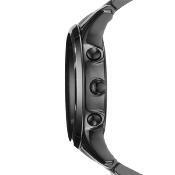 This desirable watch fastens with a black ceramic link bracelet and has a black dial with silver hour baton markers.